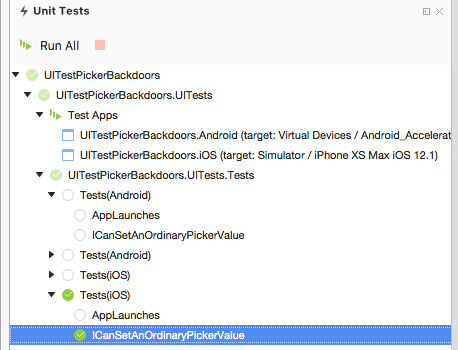 In a new project for which I'm creating UITests, my Tests (iOS) and Tests (Android) are showing twice. If it was just a display artefact I could live with it, however when I run a test, it runs twice! Editing the UITest project file to see if there are any duplicate references etc. This problem is only occurring on this new project. Previous projects are fine. Removing these attributes from my derived class solved the problem.